Book a hotel with MyBoracayGuide, and get free Boracay airport to resort assistance or transport! This offer is good for 2 guests from Boracay Airport. We can also assist you from Kalibo Airport, add additional guests, or upgrade to round trip at a discounted additional cost. 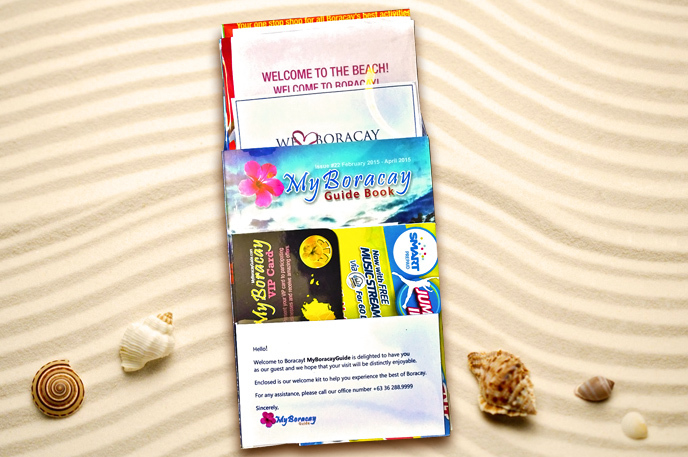 Our thanks to you for booking with MyBoracayGuide. We have great hotel deals in Boracay! Please simply make a reservation, then complete the below form with your trip ID, and we’ll see you at the airport! Welcome to Boracay! We would like to greet you at the airport and welcome you properly. We have a great pocket-sized guidebook, Discount Card, Local SIM Card and detailed map in our free welcome kit. 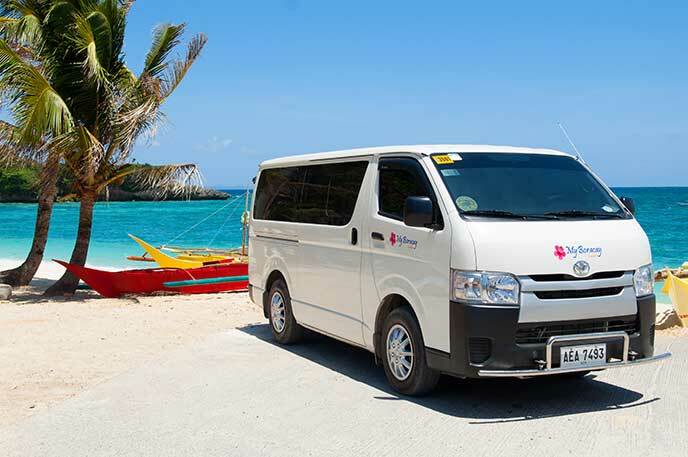 We can quickly help you arrange your transport to Boracay. This is a free service, the actual transportation costs are up to you, but we can help get you started. Our Economy MyBoracayGuide Service for budget travellers. Free when you book your hotel with MyBoracayGuide. This is our most popular transportation service. Put your wallet away! Everything is included. Land at the airport and let us take care of the rest. Welcome to paradise! Includes: Free Guide book, Free Map, Free Discount Card and Local SIM Card. To Claim your Free Airport Pickup, please complete the form below. We’ll email you back your tickets! Please note there are no substitutions or changes to this offering. The free pickup is limited to 2 people per reservation. Kalibo arrivals are at Kalibo transportation additional costs. Arrivals from Kalibo at night are excluded from this offer (boat crossings from 6pm to 6am). We would be also happy to upgrade to round trip at a discounted rate. Email us for details! But I booked 5 rooms and total 14persons ( 10Adult & 4 children), could we got the free pick up service ? Thank you for contacting us. We sent you a separate email regarding your concern. Kindly check your email. For further assistance, please do not hesitate to email us back. Our reservation includes 4 Rooms and 8 passengers(6 Adults and 2 kids) in total. Is there anything you can do to help me? Thank you for contacting us. We would like to inform you that we only offer Free Airport Pick Up or Assistance once you booked through our website (MyBoracayGuide). However, we would be very glad to assist you with your transportation needs. Kindly let us know which airport you will be coming from so we can send you a quotation. This entry was posted on Tuesday, February 7th, 2017	at 6:09 pm	and is filed under Best, Specials, 最近	. You can follow any responses to this entry through the RSS 2.0	feed. You can skip to the end and leave a response. Pinging is currently not allowed.